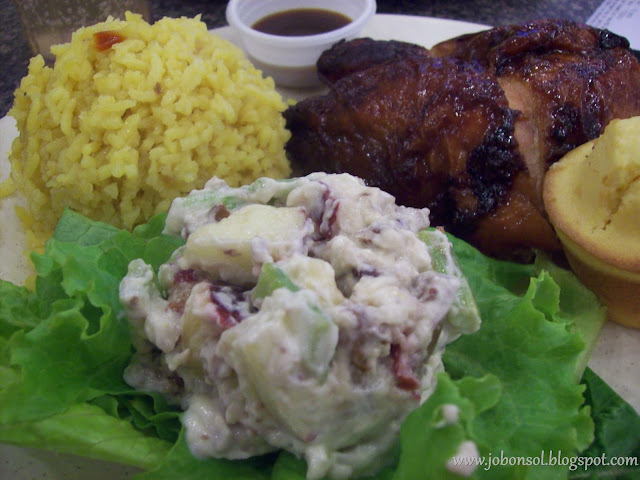 Review: I love the waldorf salad of Kenny Rogers' Holiday Plate! 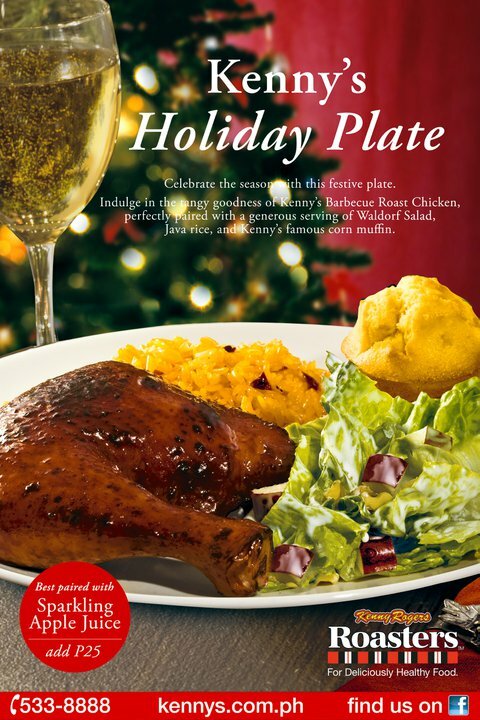 I've always missed the Waldorf Salad in Kenny Rogers and they have finally made my dream come true with the Holiday Plate (P185/add P25 glass of Sparkling Apple Juice)! It's been a long time since they have offered the Waldorf Salad among the cold sides and I have always craved for that crunchy walnuts with apples and celery stalks bits in mayo. Malou Samonte, a good friend of mine thought of eating late lunch at the mall and when we passed by Kenny Rogers, I've wished for waldorf salad. We saw the printed promo Holiday plate outside the door and decided to indulge. 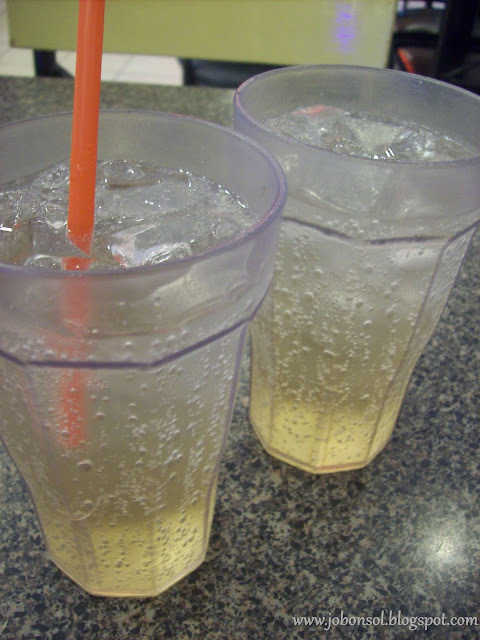 The sparkling Apple Juice (add P25 per order of the Holiday plate) was like Sprite Soda with Apple Juice in the bottom. 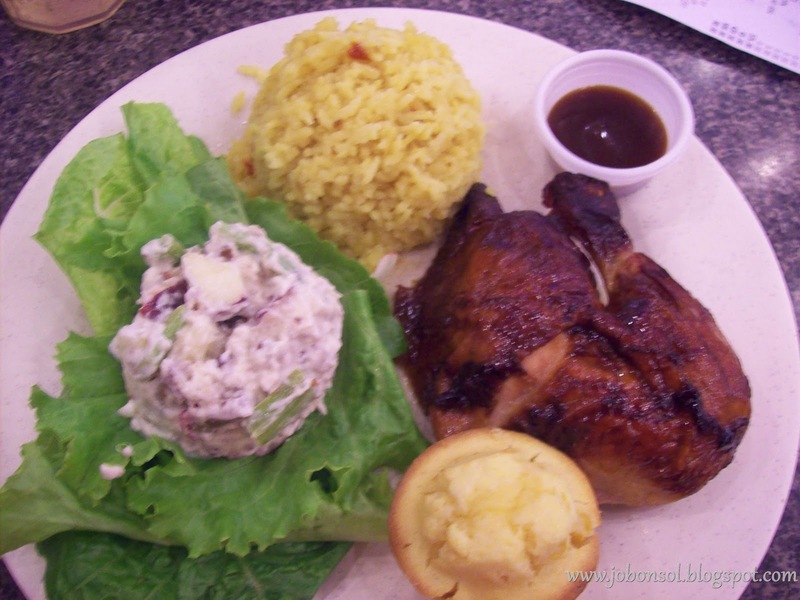 It was refreshing to drink and perfect while eating that tender Barbeque Roasted Chicken on Java Rice with Waldorf Salad on a bed of fresh and crunchy romaine lettuce. She always love going to the mall with me for cheap finds and clothes shopping. We seldom see each other in school having different schedules of classes so we thought of celebrating our private Christmas dinner in case the Holidays will not give us time to mingle like last year. Geroussel Abion, Malou Samonte and I seldom have time to get-together and catch up on girl talks although we work in the same school. This is unbelievably true for most public school teachers that most of those who observe always find us teachers to be "too loud". In my 11th year teaching Journalism in Lagro High School, these two are the closest to my heart until now. It's always a gathering of laughter and silly goofing around with people who have remained friends for years. Malou did not just commend the freshness of the salad loving all those walnuts she wanted to take home some for her family but the restaurant said the waldorf salad was just offered with the Holiday Plate. This Holiday Plate meal would be best recommended with professionals with a big stomach for Christmas parties and other events. It's really delicious and filling. I think I'd bring my family to Kenny Rogers for the Holiday Plate again next week. I couldn't get enough of that Waldorf Salad.